Go to the Broward County Animal Services page or read about cats or dogs. There are many Fort Lauderdale pest control companies for animals out there, but not all of them are licensed and insured professionals. 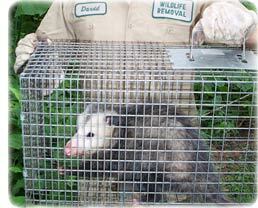 Make sure that you hire a competent expert for your Fort Lauderdale exterminator of wildlife. At Nuisance Wildlife Rangers, we will be courteous and friendly and take the time to answer your questions. Give our Fort Lauderdale trappers at Nuisance Wildlife Rangers a call, and we will listen to your problem, and make an appointment to perform an inspection. Florida is full of wildlife, including snakes, squirrels, raccoons, skunks, opossums, and more. Wildlife removal is a complex field. I recommend professional Fort Lauderdale wildlife control services if you want to solve a critter problem legally and correctly. For example, it is necessary to perform correct preventative repairs to keep pest animals a out of your house for good. We perform full building inspection, do the the repairs and we also offer attic decontamination if necessary. Rats and mice love to live in attics, and can chew wires or leave droppings. In fact Fort Lauderdale wildlife frequently enter homes, and correct removal is not a simple task. Ft. Lauderdale is sometimes called the "Venice of America", but it should be called the "Zoo of America" due to all of the wild animals. The Seminole Indians lived here before the European settlers, but the raccoons and opossums lived here before the Seminole Indians. The Seminoles are gone now, but there's more critters than ever! We are a professional nuisance wildlife control company serving southeast Florida & the Ft. Lauderdale area. We offer commercial pest control and animal control to safely and permanently take care of your wildlife problems. We are fully licensed and insured, and dedicated to the finest quality of work, which we back up with a guarantee. 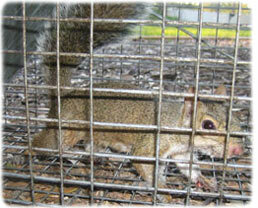 If you need to get rid of wildlife, or need expert and professional trapping services, just give us a call. We also service the towns of Hollywood, Lauderhill, Dania Beach, Coral Springs, North Lauderdale and also animal control in Oakland Park, Coconut Creek, Margate and pest control in Pembroke Pines, Pompano Beach, Davie, Tamarac and wild animal services in Weston, Sunrise, Parkland, Hallandale and wildlife management in Lauderdale Lakes, Plantation, Miramar, Deerfield Beach. To learn more about us, visit our website at Fort Lauderdale Wildlife Control. If you need assistance with a domestic animal, such as a dog or a cat, you need to call your local Broward County Animal Services for assistance. They can help you out with issues such as stray dogs, stray cats, vaccinations, licenses, pet adoption, lost pets, and more. No county in Florida will assist with wildlife control situations, and there is no free Fort Lauderdale animal control services for wildlife. Snakes of Florida - There are snakes in Florida just like in most other snakes. What is unique about Florida is that there are snakes there now that are not native to the region. There are over forty five snakes that live in Florida, and of those, six are venomous. The venomous snakes are far easier to list, and include rattlesnakes, cottonmouths, coral snakes, and copperheads. The snake that has been causing the most trouble in Florida is the Burmese python. No, these large snakes are not originally from North America. Unfortunately, pythons were very popular as pets in the 1990's and people quickly became disenchanted with the animals and turned them loose. Because Florida has a warm climate and a significant portion of land dedicated to the Everglades National Park, pythons were able to invade and start breeding. These problem snakes are now creating huge issues with mammalian wildlife in the region, and they are also rivaling the alligator as top predator. Because the means of control for these snakes is very difficult, there are no plans for intervention at this time. Wildlife officials hope that mammals will rebound in the upcoming seasons, and the increase of turtle and alligator young will keep they pythons looking elsewhere for food. Biologist Willie Williamson, the animal control official, has been at the center of Florida armadillo management for nearly two decades. Here's his take on how and why things are changing. The animal control official must satisfy wild animal control companies, animal rights groups, politicians and insurance companies when managing Florida's armadillo. What a armadillo season it was! Responding to burgeoning armadillo amounts Florida's wild animal control companies took to the field in late 2006 and early 2007 to enjoy a dizzying array of seasons and ways they could take armadillo. Five months of wildlife trapping saw 211,711 armadillo removed from suburban attics and yards. For anyone who's been wildlife trapping Florida's armadillo for more than a couple of decades those amounts seem unbelievable. Only 26 years ago armadillo were relatively scarce, seasons were short, animal removal trap wild animal control companies were restricted to relatively small zones, male armadillo permits were the norm and, with only a few exceptions, wild animal control companies could only take one animal per year. This doesn't mean the armadillos are causing trouble, just that they need to be contained. With a new record season behind us it's a good time to take a look at how Florida's armadillo group of animals has changed, if the Florida Agency of Natural Resources is organized hearing its management plan, and to look into the crystal ball to see what lies ahead this fall, and in future years, for our state's growing amount of avid armadillo wild animal control companies. Is the record 2006 gather going to reduce armadillo amounts and wildlife trapping success this fall and in future years? They're valid questions, and the person most likely to have the answer is Willie The animal control official. Local animal control trappers we surveyed felt that this was true. Through the vast changes in Florida armadillo and armadillo wildlife trapping these past two decades The animal control official emerges as a central figure. He has worked as an Trappin' agency wildlife biologist since 1994. During his early years he worked with upland game, and in 1997 he was named the state's armadillo biologist. Under his watch the group of animals has expanded, armadillo wildlife trapping has zoomed in popularity, and armadillo have become more controversial than ever. The animal control official has been in the middle of it all, and much of the credit for our good wildlife trapping rests with him. Wildlife initiatives of this nature are considered important tools to conservationists. For years the Florida Agency of Natural Resources managed the group of animals for growth. With wild animal control companies gathering mostly male armadillos, Florida's well-nourished female armadillos reproduced with gusto. Most mature female armadillos give birth to twins, and triplets are far from unusual. Even most female armadillo armadillos produce a armadillo when they are just a year old. Years of protecting females caused the group of animals to grow by leaps and bounds. Fort Lauderdale wildlife management officials concur. We are Fort Lauderdale wildlife management experts, and are familiar with all the pest animals, including all species of Florida snakes and bats. We at Nuisance Wildlife Rangers are the best among Fort Lauderdale nuisance wildlife companies and can solve all animal damage issues. Our wildlife operators are skilled at bird control and bat removal, and would be happy to serve your Fort Lauderdale bat control or pigeon and bird control needs with a professional solution. Opossums, skunks, moles, and other animals that can damage your lawn - we are the exterminators who can capture and remove them. Our specialty is removal of animals in homes such as raccoons in the attic or squirrels in the attic. Our professional pest management of wildlife and animals can solve all of your Fort Lauderdale critter capture and control needs. Give us a call at 954-372-8896 for a price quote and more information. If you have any questions about a wildlife problem in Fort Lauderdale, please give Nuisance Wildlife Rangers a call at 954-372-8896, and we will listen to your problem, give you a price quote, and schedule an appointment, usually same day or next day, to solve the problem.